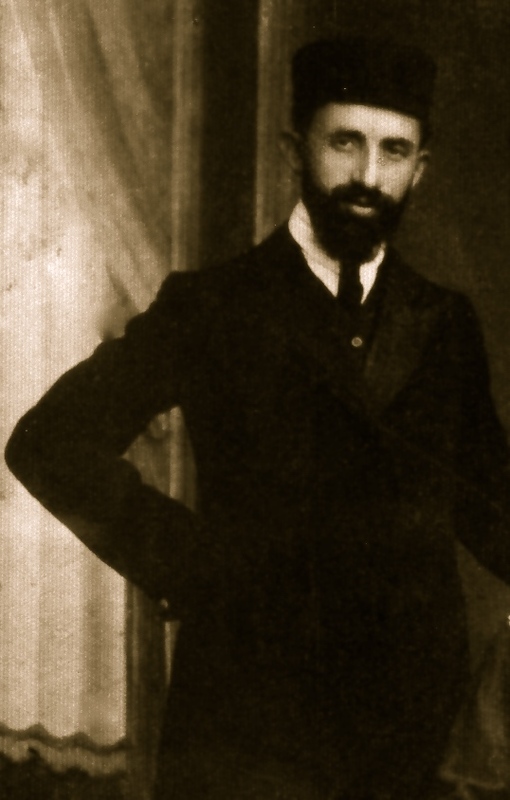 Anyway, when I was younger and devoted some time each day to Mishna Brura, I remember being inspired by his words regarding wearing Tzitzis out, as opposed to in. I don’t include the uncouth manner of some who wear their shirts out of their pants as well today, something I don’t understand unless one wears a Kapote covering it (I see boys from the local Yeshiva all dressed like that, and personally I don’t agree with that practice). 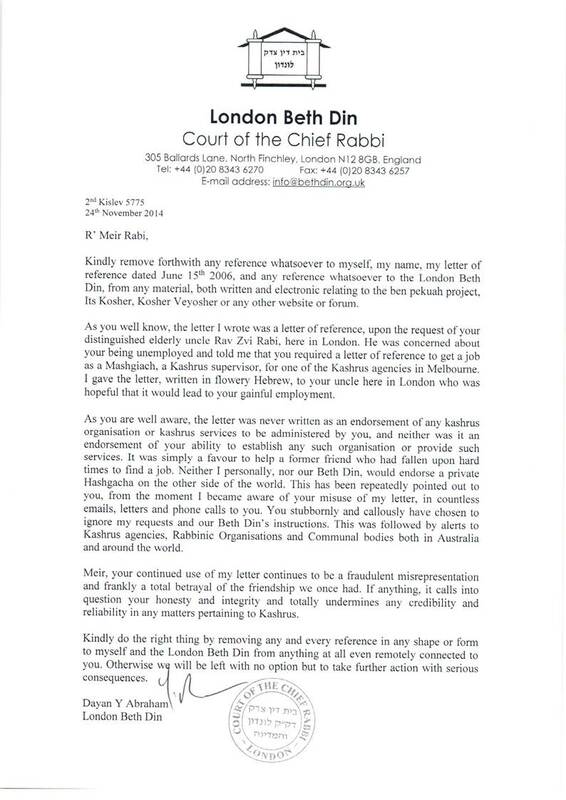 Getting back to the Mishna Brura, in his usual way (not Litvish) of quoting all opinions he wrote very strongly that one should wear the Tzitzis out, as if he was a proud member of Hashem’s army. That was when I was in Kerem B’Yavneh. From that time on, I followed the Mishna Brura. (Ironically, the major Posek was actually the Aruch Hashulchan, but he was then considered controversial for very bad reasons by Hungarians, but in Lita and elsewhere they followed the Aruch Hashulchan). Anyway, to my question. I don’t wear a suit jacket to work. My Tzitzis have always hung visibly at University. I am sure it didn’t help, but I don’t and didn’t care. I wear a shirt and pants, generally. In winter its warm and in summer it’s cool. It’s natural. I walked into the bathroom, and went to the urinal to do what men do. In Universities, they don’t exactly smell “wonderful” once the students are in season. I left the Urinal and asked myself for the first time (I don’t know why) whether I should have tucked in my tzitzis before entering. At the end of the day, although the Mitzvah of Tzitzis is not a Chovas Gavro but a Chovas Cheftza, the Tzitzis themselves are M’aaseh Mitzvah. I haven’t looked to see if this has been discussed anywhere (many Poskim/Haredim wear jackets and Yibitzes which cover the Tzitzis). For Sephardim who follow the Zohar and Ari, this isn’t a question because they aren’t allowed to wear their Tzitzis out from memory because it’s considered Yuharo (showing off). Am I asking a silly question? PS. I’ve also mentioned to Meshichisten who have the advertisement on their Yarmulka that they should turn it inside out before entering a bathroom in my opinion. I had an interchange with a Choshuve Rov about this which I place here now. The Taz 21:3 (source of this Chumra) explains that it depends on the fact that it is מיוחד. In that sense, something which is מיוחד לתפלה – even if technically not a מצוה, is superior to תשמישי מצוה which is not מיוחד for that purpose alone. There is also an implication there that the Taz’s stringency might only apply to clothing. Interestingly, the Taz adds that a Talis Kotton is fine because it is covered. Which implies that it is not fine if uncovered. However, the Pri Megadim and other Achronim object to this point, and they see the Minhag is to be lenient even if uncovered because it is not מיוחד. So you can walk into a toilet with a lulav and esrog? Make sense to you? cheftza shel mitzvah vs cheftza shel tefilla? Putting aside the kaballistic Ruach Ro for a minute. A Chiyuv is born once you decide to wear a four cornered garment whether the garment is worn inside or outside. I can understand being MACHMIR for things that are Meyuchad for Tefilla. I can’t understand how a CHEFTZA shel Mitzvah should go into a toilet that way, when a simple solution is to tuck them in (or cover them) when you go to the Urinal? A Tefillin BAG is Tashmishei Mitzvah for example. The Tzitzis itself is also not the mitzvah. Now we are getting Brisker. Wearing them becomes a Mitzvah when you PUT Tzitzis on a garment. What is the status of the garment. I would say that until the Ma’aseh Mitzvah/Cheftza Shel Kedusha is put on, it has the status of an aveyra when wearing the garment until you fix it with Tzitzis. When you put these strings on, THOSE STRINGS provide a Ptur to wear the garment, and you have fulfilled a Mitzvah of wearing them. So what exactly are the Tzitzis. You can see, that we put them in Sheimos. I can’t see how they are TASHMISHEI Mitzvah if there is no Mitzvah in existence. There is ZERO Mitzvah to put on a four cornered garment. I think there is a Tosfos in Chullin which says bad things about those who avoid the opportunity but you are Shev V’Al Taaseh. You aren’t doing an Aveyra. He famously said that Yiddish is ONLY Tashmishei Mitzvah when you speak Torah otherwise it has no Kedusha. 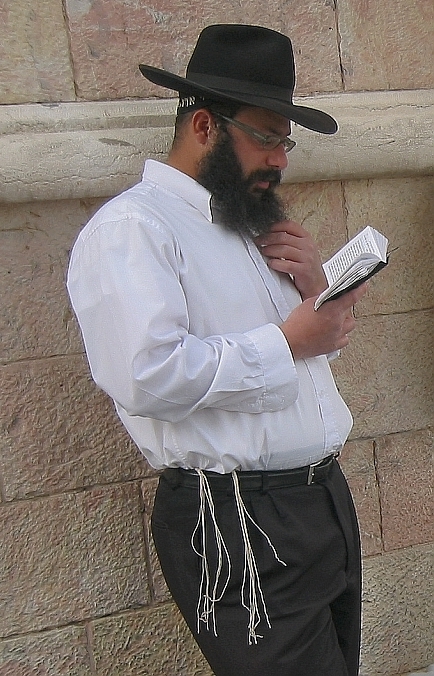 I think we might distinguish between a beged-with-tzitzit that one is wearing casually and a b-w-t that has been deliberately arranged to show off the tzitzit. In the latter case perhaps it really is improper to have them displayed in a bathroom. I don’t see any solution though: one can’t very well adjust one’s dress in this way before entering and after exiting. Next Next post: Do elevators “need” a Mezuza?